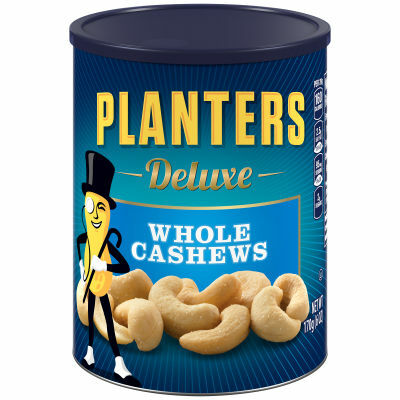 Planters Deluxe Whole Cashews delivers that quality flavor you’ve grown to trust. - Each cashew is carefully picked and then seasoned with sea salt to enhance the natural goodness of each cashew. A customer favorite, these Planters cashews are a delicacy of choice for any occasion.